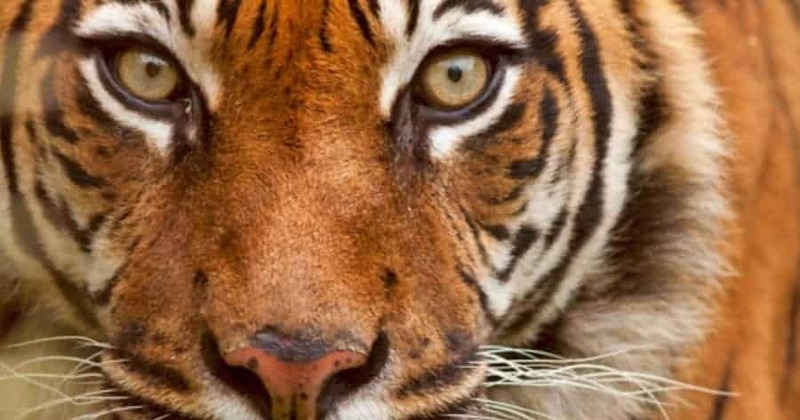 An unprovoked attack by a young male tiger at the Tiger Kingdom animal resort has landed Australian tourist Paul Goudie in a Thai hospital with injuries to his left leg and stomach. Under the watchful eye of park officials, 49-year-old Goudie was allowed to enter the tiger enclosure where a group of young male tigers are being kept. Goudie, from Melbourne, says he had entered the enclosure just as park officials advised and had done nothing to provoke the attack when one young male tiger became aggressive. Goudie, who suffered serious bite- injuries to his left leg and and stomach in the animal attack, was first treated in a local hospital in Phuket before being transferred to a hospital in Thailand. Mt Goudie was just one of many tourists invited into this special caged enclosure with handlers as part of the visitor experience. “We did everything as the park people advised,” Goudie told reporters from the online news service Phuketwan at the hospital. “I am not sure why it bit me,” he said. He punched the tiger as it attacked him. “When it did [attack] I had no choice except to whack it in the face a couple of times,” he said. Park officials could end the attack by tasering the 18-month old male cub and a visiting doctor at the scene provided emergency medical assistance until an ambulance and emergency staff arrived. “The handler was with us the whole time. The tiger was 15 months old. I was patting him, everything was fine. I just stood up to leave,” Goudie said. Park officials have however decided that the young tiger will no longer have contact with visitors.